There’s decades between them, countless cities, and more stories together than they can count. They’ve grown up together – their families were friends and they were bound to be too. They spent their childhood sitting in the pews of their church together and as the years passed, friendship turned to teenage crushes, until early adulthood led Joelle to England and Jesse to Yellowknife. Despite the distance, the pull remained and Joelle left her life in England to join Jesse in Yellowknife, where they were married less than a year later. Today, they’re back in Essex County with a one year old, one more on the way, and 5 foster children. Yes, you read that right. 6 children and 1 on the way. They’ve mastered teamwork and they balance each other out – where Joelle is reserved, Jesse is outgoing – and they interact with an ease, comfort, and confidence that only a lifetime of knowing each other can bring. 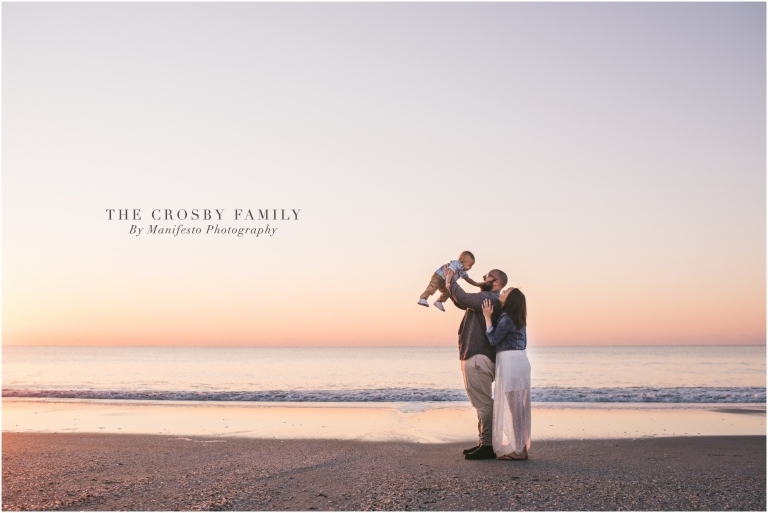 Earlier this year, while on vacation in Myrtle Beach, they braved cold temps and an early wakeup call for a sunrise family session on the beach. I don’t know about you, but beaches at sunrises are some of my favourite things. 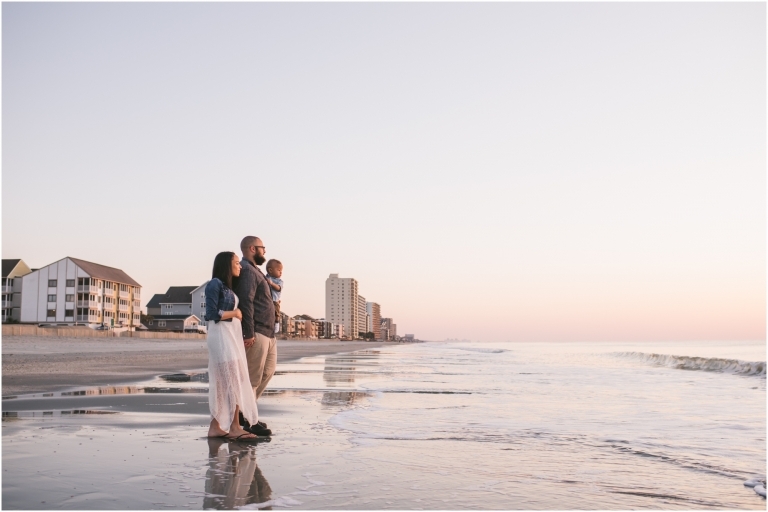 Despite it being FREEZING (literally, we couldn’t feel our limbs), the magic that is sunrise – the foam forming as the waves crashed onto the beach, the sun shining along the water, and the birds flying over the pier – more than made up for it. 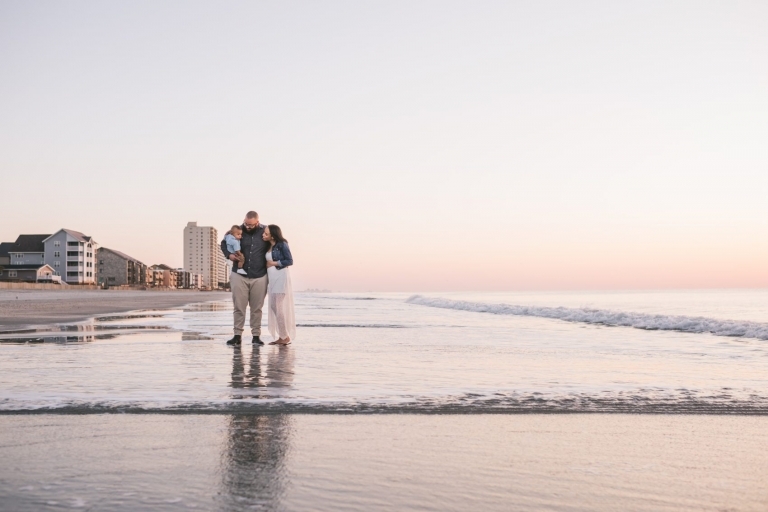 They spent an hour walking along the shore, cozying up close with the sun shining between them, and tossing their little boy in the air, something that’s always guaranteed to get giggles, and creating memories in yet another city and stage of life. 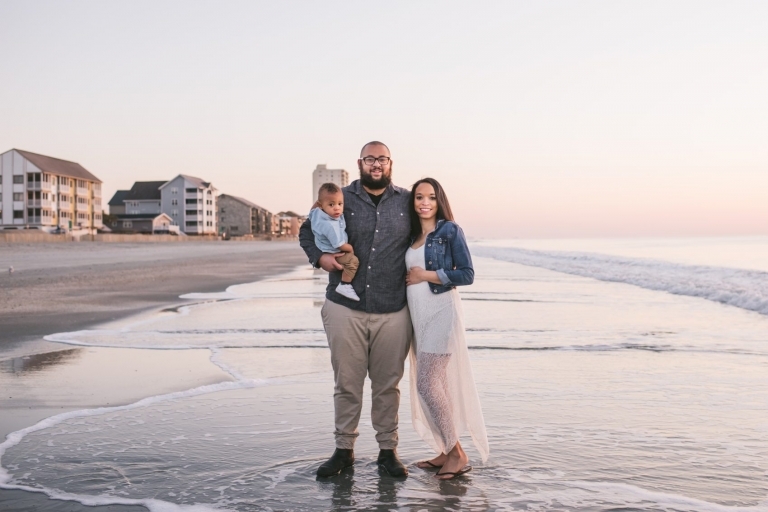 Jesse & Joelle, the life you live day in and day out and your (not so) little family is an inspiration to so many including all of us here at Manifesto. Your hearts are pure gold. Thank you for allowing me into your lives to capture this very special page in your epic story.